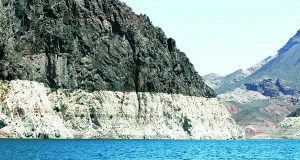 With another deadline missed Monday, the head of the Bureau of Reclamation is now looking for the governors in the states in the Colorado River basin to tell her what they think she should do to keep water levels from dropping even lower. The Colorado River is entrusted to us and is a vital source of water, life, and economic prosperity, but we must take care of it in return. Protecting the river and the water it provides will require us to develop resilient solutions that reduce water consumption and efficiently share the river’s waters. The governor and lawmakers celebrated passage of the Drought Contingency Plan bills as a “historic” moment that showed the state could work together to head off drastic water shortfalls on the Colorado River.